Sadiq Khan Wants London To Throw An Olympic Victory Parade! Who’s super proud of Team GB? If you’ve been keeping up with Rio 2016 this year, you’ll know how well our little country is doing. We’re a pretty strong, fast a talented bunch (and yes, I say this as the majority of us are ordering in the pints and plonking our bums in front of the TV). Anyway, our laavly mayor Sadiq Khan has reportedly shared his enthusiasm for London to put on a bit of an Olympic and Paralympic victory parade to celebrate the homecoming of our athletes. 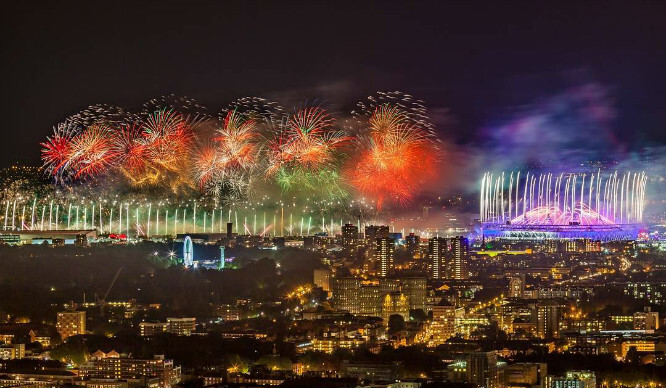 It all made us reminisce to the glory days of London 2012 (which is why we selected the breathtaking picture captured by James Burns (aka London From the Rooftops). As of Friday 19th August, GB has accumulated an impressive 56 medals – 22 of which are gold! No form of celebration has been set in stone and governments are yet to decide on the best way. But we’re keeping our fingers crossed we can party like it’s 2012 once more!